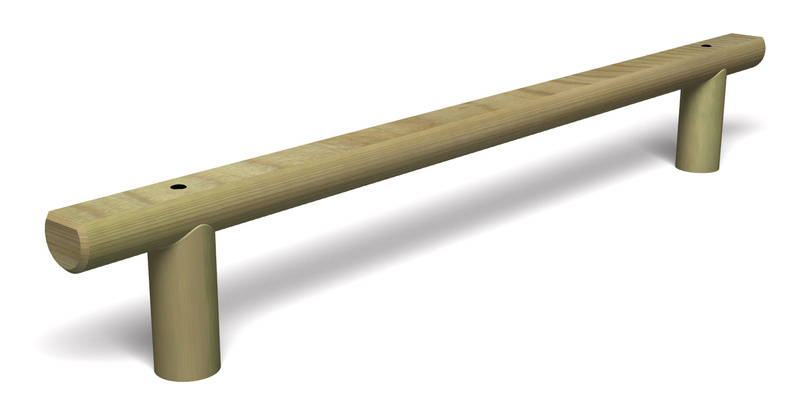 The low level Rocking Log Traverse is manufactured with smooth, splinter-free machine rounded Scandinavian redwood which is pressure treated using safe tanalith E treatment for long service life. 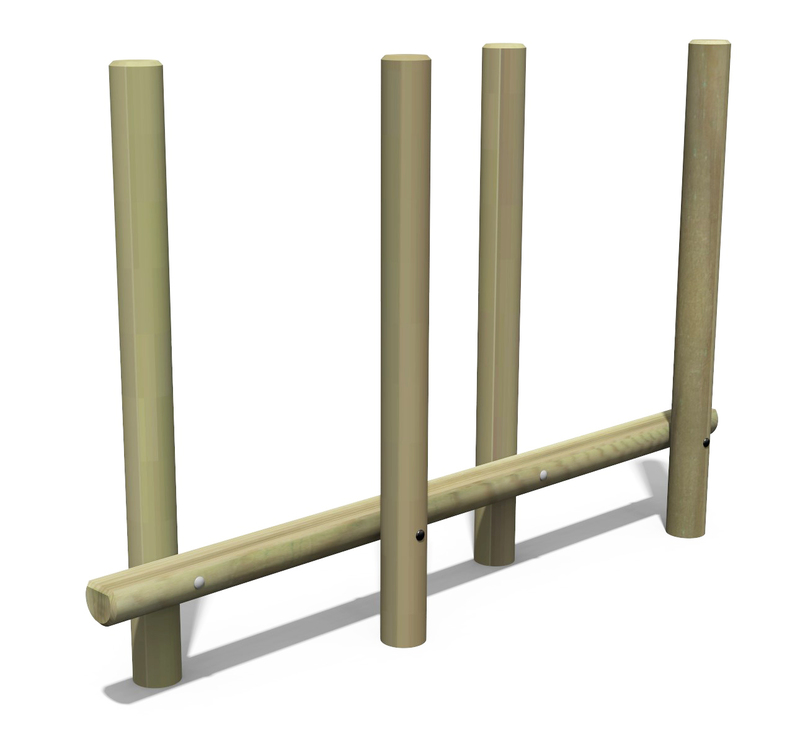 The poles are laminated for extra strength. 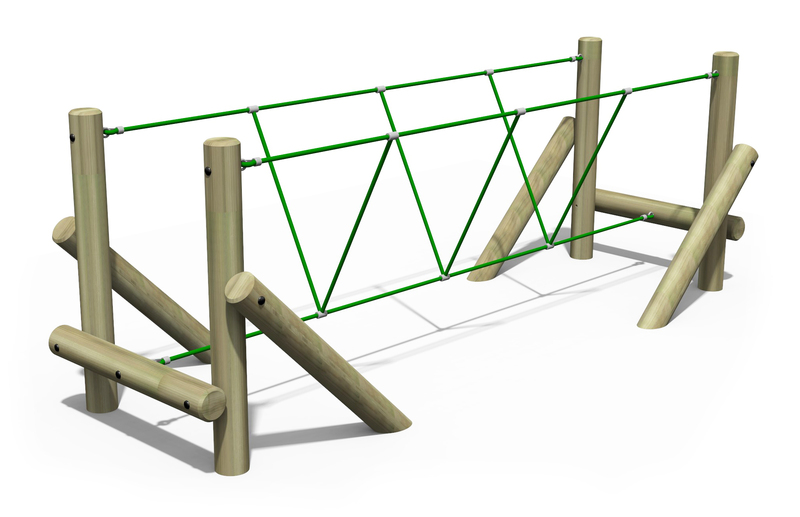 Our steel reinforced ropes are made from a polypropylene centre, surrounded by 6 metal wire rods covered with Multifilament Polypropylene (MFP), providing a slightly softer feel. 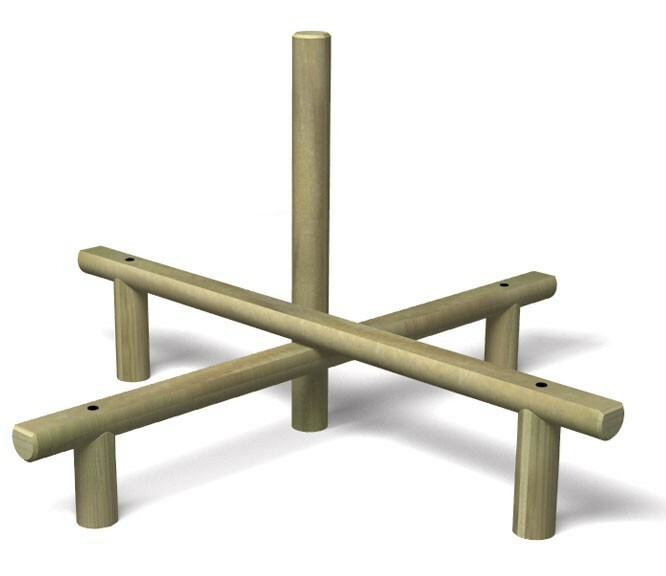 Designed specifically for the playground and leisure environment in 16mm (5/8”) and 18mm (3/4”) diameters to meet with the British and European safety standards for playground equipment and a variety of colours to assist development of spatial awareness and promote inclusive play. Installation price will be provided upon request.